Spiff up your Spring gardens! It’s not too late to add more color to your garden beds and patio containers. Falling Water Gardens has a ton of plant material that is just starting to bloom and will bloom through September. Some of these perennials have seeds that the birds will love and many of the blooms attract the hummingbirds and butterflies. Hurry in to bring those gardens back to life! 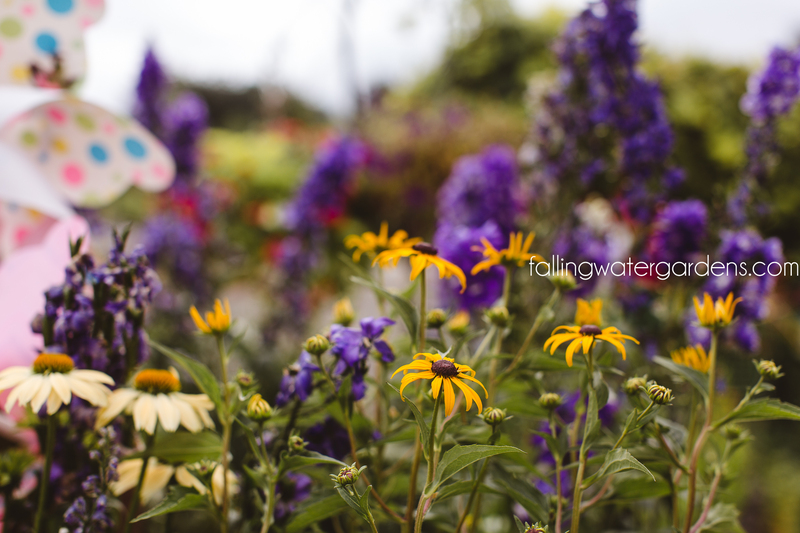 Echinacea, Campsis, Canna, Hibiscus, Crocosmia, Rudbeckia, Coreopsis, Water Hyacinth … to name a few! While the list of gardening tasks for August is shorter than it has been in many months, there are still ongoing tasks to perform. 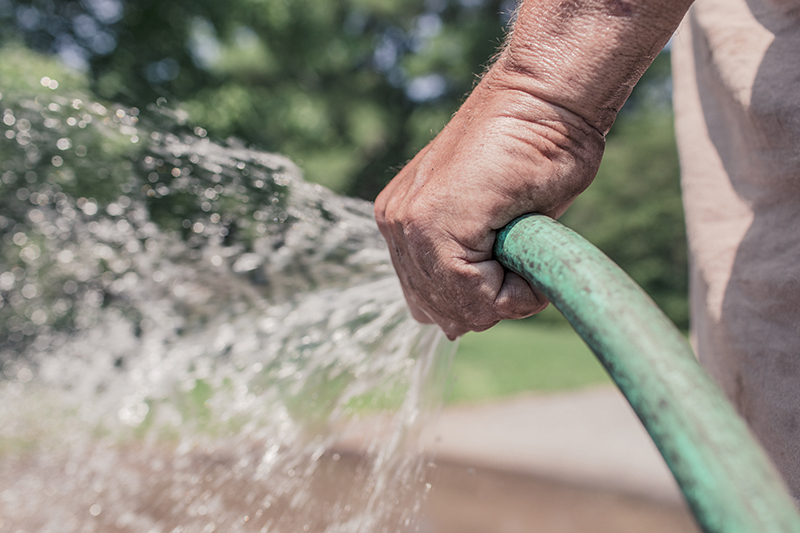 Ordinarily watering is a primary demand in mid-summer. Be sure to water thoroughly and deeply each time. This will encourage the plants to grow deeper roots that can better withstand drier days. Surface watering actually wastes water. This is because the water doesn’t reach the root zone of the plant and the moisture rapidly evaporates from the top inch of soil. Right now, your most immediate concern should be weed control. Weeds in the garden are harmful because they rob your plants of water and nutrients, and, on occasion, grow tall enough to shade your flowers and plants. And why are weeds so prevalent and successful? It’s their seeds. Weeds drop hundreds and sometimes many thousands of seeds per plant. They create a seed bank in the soil. Some seeds have such vitality that they sprout and grow when brought to the surface after being buried deeply for many years. Other weed seeds have such a hard durable outer coat that they are unharmed by an ordinary grass fire. If eaten by a bird or a grazing animal, they are not digested in its stomach and are widely distributed. The proverb “a stitch in time saves nine” understates the case by a factor of 10 or more. And when done energetically, weeding can be an aerobic activity. This is simply removing faded flowers. Deadheading annuals will keep them blooming throughout the whole growing season. 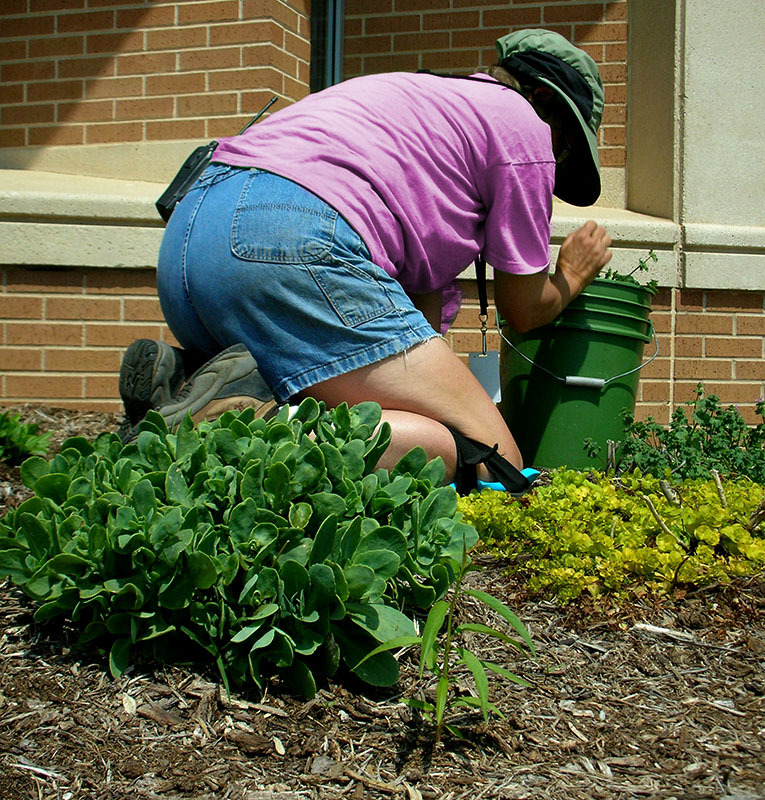 Deadheading perennials will channel the energy that would have been spent on seed production, into either producing more flowers, or into root growth depending on the species. The butterfly bush is a terrific example. Ordinarily it flowers for several weeks in mid-summer. If you remove all the spent flowers, the bush will flower consistently right up to the first frost (assuming it still gets enough sun). That’s a lot of additional color in the garden for a few minutes of pruning each week. Pinch off coleus flowers to keep the plants full and bushy. It’s all about the foliage anyway. A little time spent on grooming the plants will make a big difference in the overall appearance of the garden. Leave some annual seeds to self-sow and some perennial seeds for the wildlife and winter interest. You can install new shrubs and trees from containers, and it’s frequently possible to find nursery bargains in late summer. Be sure to keep these new plants well watered during August. Always take time to properly prepare the soil by mixing generous quantities compost with your existing soil. Water the plant thoroughly before removing it from the container and again after planting. Spring flowering perennials can be divided and transplanted this month or next. This is least stressful on the plant when done on a cool and cloudy day. Water the plants thoroughly after transplanting. Start with the bearded iris. Iris rhizomes should be just barely covered with soil. Divide overgrown daylilies, especially if you haven’t in the past four years. Plant daylilies the same depth as before. Plant peonies in a compost-enriched sunny spot. Make sure the tuber’s uppermost eye is no more than about two inches below the soil. Water the transplants thoroughly to get them off to a healthy start. One of the problems our landscape suffers from is compaction. Core aerification is an important and highly recommended practice for many lawns. This process is useful to help reduce soil compaction and thatch, improve surface drainage, and improve conditions prior to overseeding. 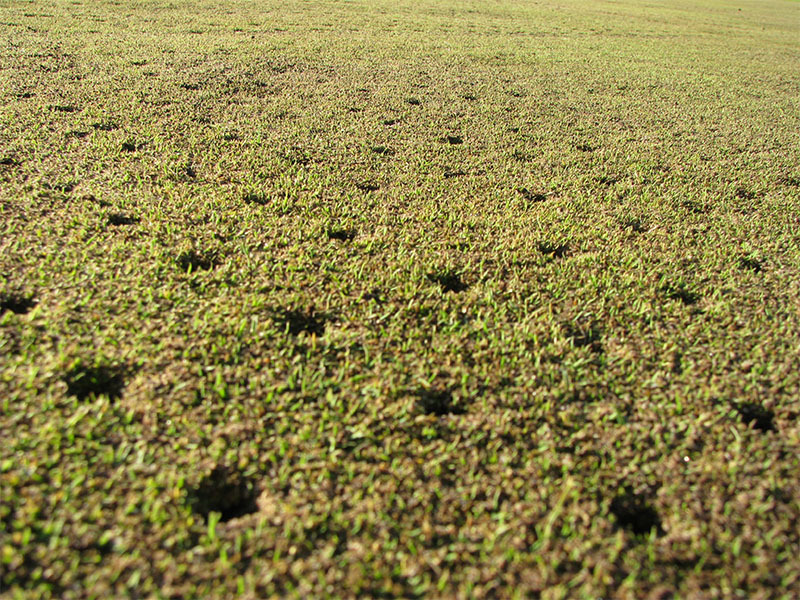 Core aerifiers insert hollow tines into the lawn and pull out plugs of soil. Renovate the lawn with seed or sod now through mid-September. Usually grass is cut too short and it stresses out the plants and increases the likelihood of disease. Raise the cutting height of the mower. Taller grass cools the roots and helps to keep the moisture in the soil longer. Don’t fertilize woody plants now. It stimulates late growth that will not have time to harden off properly before winter. Remove any dead or diseased branches anytime. 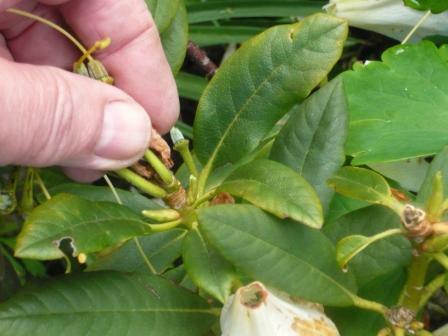 Do not prune spring-flowering plants such as forsythia, azalea, and rhododendron now, because pruning will cut off the buds that have formed for next spring. Summer blooming shrubs should be pruned for shape after they have finished flowering. At this point in time, other shrubs and trees will be approaching dormancy in a month or two and new growth resulting from pruning will not have time to harden off before the cold weather sets in. 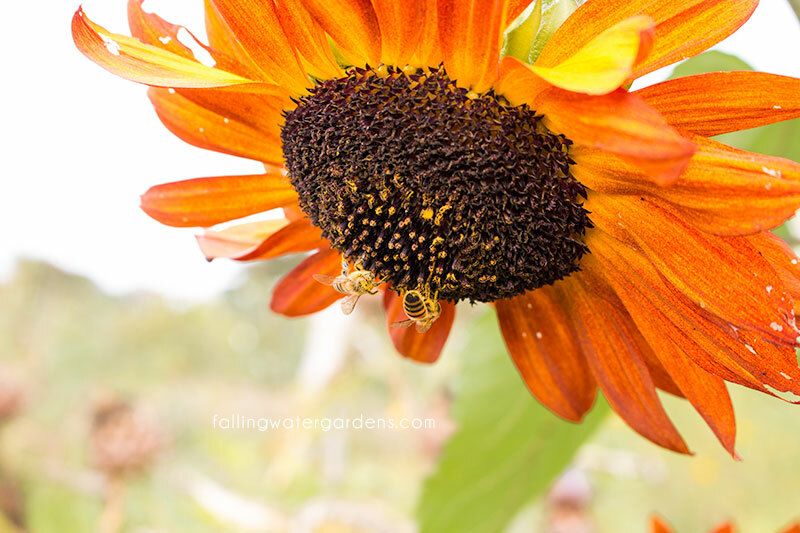 This is a great month for planning the fall garden tasks, and taking some actions that will help save time during the busy months of September, October, and November. The gardener’s difficulty is the loss of daylight in fall. Working now saves time when evenings grow dark and daylight disappears. Walk through and evaluate the garden, and plan what you want to transplant or add to the landscape. Take a good hard look at your vegetable and flower gardens. What crops did well? Which should you try instead next year? Is your perennial garden overgrown? Do some plants need to be relocated because they are too tall or the wrong color for that particular bed? Take notes so you can correct the problem. Don’t depend on your memory. Write it down. Take pictures of your garden at peak. Take pictures of container combinations you’d like to repeat. If you plan some fall planting, weed the area and add organic material, such as compost or chipped bark, to prepare for planting. It may all sound quite daunting, but these are just some general late summer guidelines. Get out there and dig in!